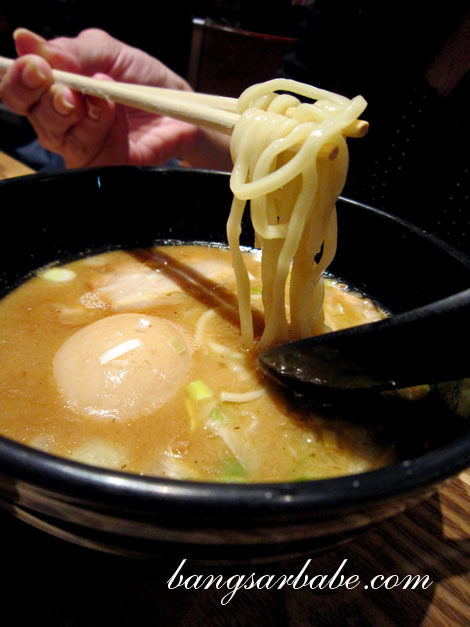 Tsukemen is a type of ramen where the noodles and soup are served separated. You basically dip the noodles into the soup – which is thicker and more concentrated – and slurp them up. 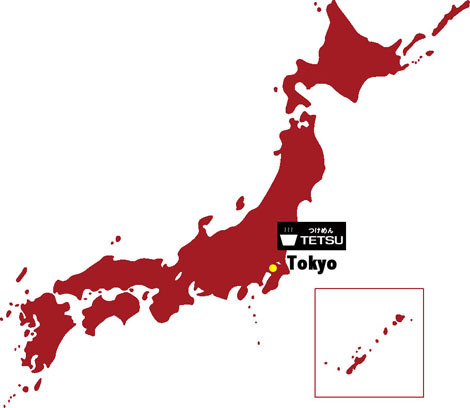 Tetsu comes from Tokyo and is said to serve the best Tsukemen Ramen by Tokyo Times. Service at Tetsu was the least bubbly of the six ramen stalls at Iluma; the chef was more reserved, unlike the jovial chefs from Gantetsu and Ikkousha. The chef recommended the Very Rich! Paitan Tsukemen (SGD11) and asked if I wanted the flavoured boiled egg (SGD2) to go with my ramen. I nodded in greedy excitement. The noodles were fairly thick and cooked katame (al dente), resulting in a toothsome bite. But it was the broth that did the talking at Tetsu. Made with chicken, pork leg and bones and vegetables, the broth takes a laborious 15 hours to prepare. The thick, brownish broth was well-balanced and had plenty of umami. Do not attempt to drink the reduced broth as it can be quite a salty shock — I was shocked! When eaten together with the noodles, it was delicious. The chashu was pleasingly tender with a thick layer of tasty fat. It can be off-putting to some, but I loved it. I think my cholesterol level skyrocketed that night. While the egg yolk was nice and runny, the whites were a bit on the hard side. That said, I was too absorbed in my tsukemen to nit-pick. For those with leftover broth (I had almost none! ), you can take your bowl to the stall and request for a hot stone to heat up the broth and add some hot water to dilute the broth. I should have ordered the special portion as the tsukemen left me craving for more. But it was a good thing I didn’t as I probably wouldn’t enjoy this as much if the portion was bigger. Verdict: Thick, porky and flavoursome broth. I regretted not ordering the special portion. My grandfather is very strict on using chopstick n chinese table manner…. so now you need to start training on chopsticks..
My grandparents too. They always complain about it, but I can’t seem to get it right. These days…I use a fork when they are around. Lol! Wow, a 7.5. You must really like it a lot! It was quite good lor. I found the concept very interesting too! A Japanese chef told me that the ramen broth in Japan is very salty. In KL, they make it less salty as Malaysians like to drink soup. 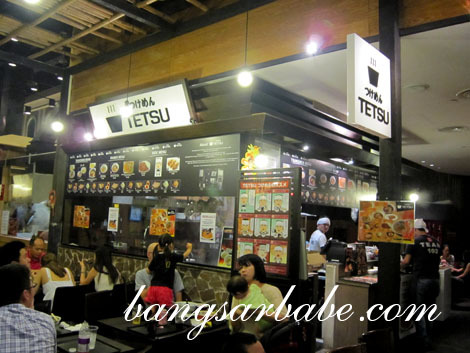 Maybe they follow Japan style still at Tetsu. I do like the color of the soup here.. looks so rich. what an epic ramen fest! too bad I dunno half of them.. next trip will try to use ur guide;) well done !